Ridge Dance Department offers its first elective dance course at Ridge (Dance I). 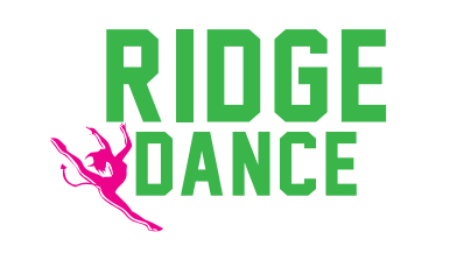 Ridge Dance Master Class Series is offered for the first time bringing professional dancers, choreographers and dance educators to students of Ridge and WAMS. Ridge Dance Team began its first of many successful seasons. This audition only group provides students the opportunity to learn from professional choreographers and compete in local, regional and national dance competitions. Ridge Dance Collective was formed providing students from Ridge and WAMS an opportunity to create dances collaboratively. The Dance II course was added to the course offerings. Ridge Dance Team, Ridge Dance Collective and the Ridge Dance Master Class Series continued to thrive. The Dance III course was added to the course offerings. Ridge Dance students perform in the tap show, Soul Walk, with professional tap dancers at the Ridge PAC. The Social Skills Dance course is offered for the first time. National Honor Society for Dance Arts chapter was created and nine young dance scholars were inducted. Ridge dance students' articles were published in the NHSDA National Newsletter, Dance Arts Now! Ridge Dance students attend the New Jersey High School Dance Fest for the first time. This festival brings together students from various public high school dance programs throughout NJ. Six young dance scholars were inducted into the National Honor Society for Dance Arts. More Ridge dance students' articles were published in the NHSDA National Newsletter, Dance Arts Now! Former Ridge Dance student, Lianna Shimoun, won the New Jersey Governor's Arts Award for Artistic Excellence and Leadership in Dance. Lianna was one of five students from the state of NJ to win this prestigious award. More success to come for the Ridge Dance Department and Ridge dancers!